Rincewind gets an invitation to go and visit an old friend. 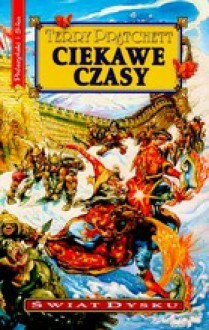 As is usual for him, this involves people mistaking him for an actual wizard and trying to kill him.Plenty of humour, ranging from the politest revolutionaries you're going to meet, to a geriatric barbarian horde. http://tannat.booklikes.com Tannat 4.5 May you live in interesting times! text May you live in interesting times!